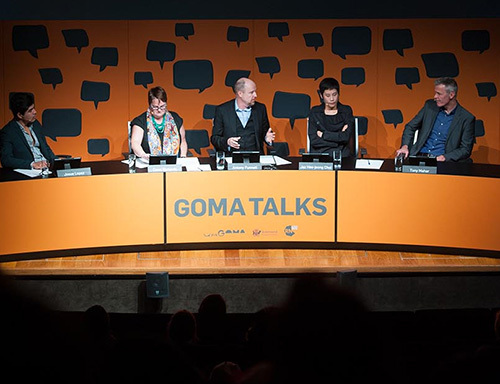 The lively panel discussion program GOMA Talks digs deeper into the ideas around major exhibitions. 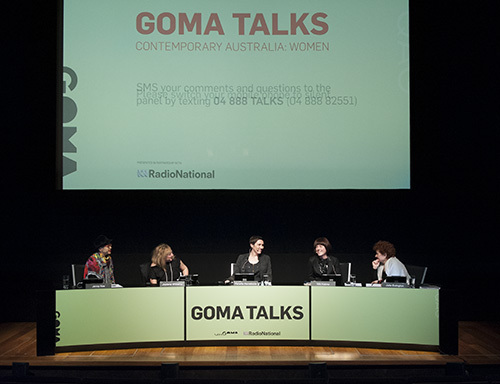 Hosted by ABC Radio National presenters and featuring special guest panellists, each series explores contemporary issues from a range of perspectives. 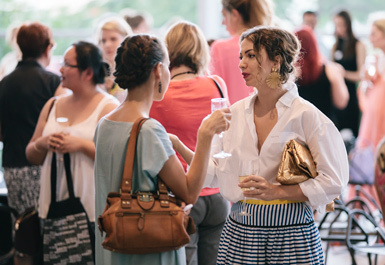 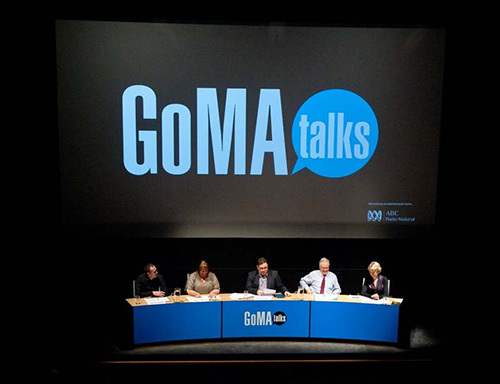 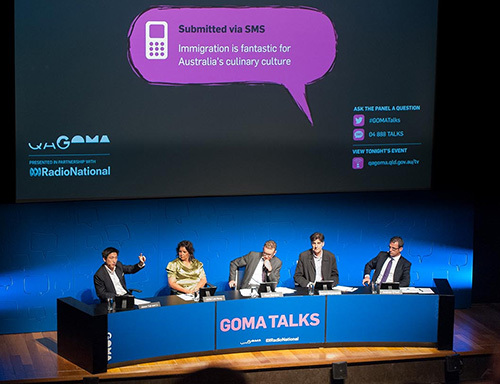 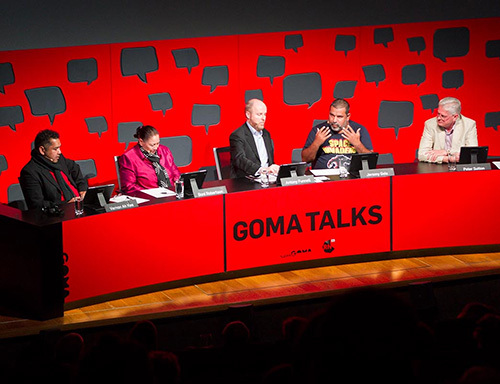 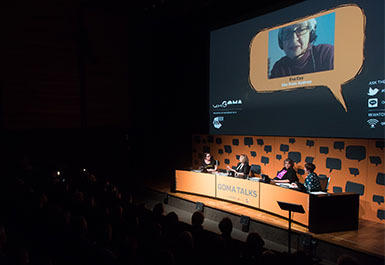 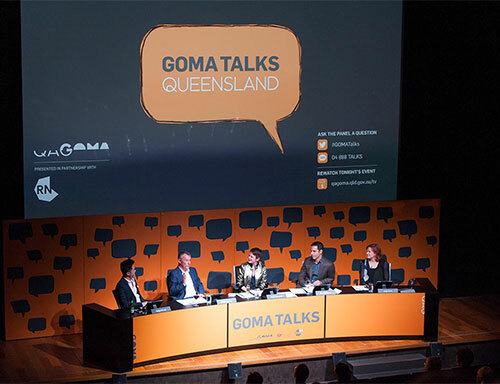 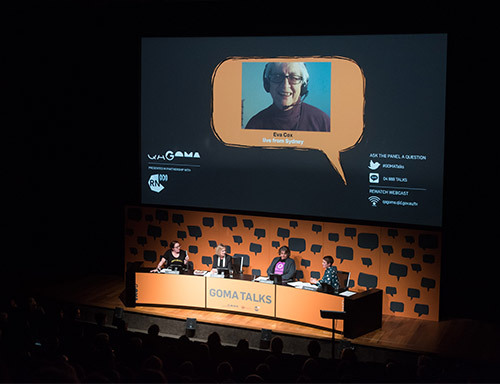 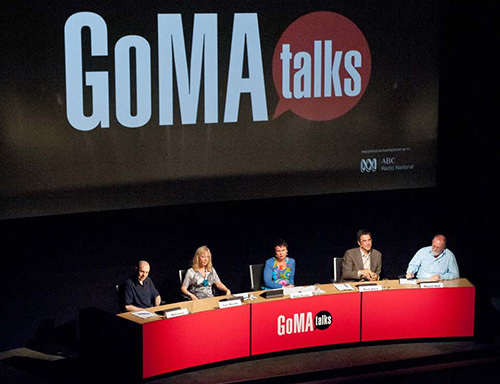 Since its inception in 2011, every session of GOMA Talks has featured leading creative and critical thinkers, exploring exhibitions '21st Century: Art in the First Decade'; 'Surrealism: The Poetry of Dreams'; 'Contemporary Australia: Women'; 'APT7'; 'My Country'; 'Harvest'; 'GOMA Q: Contemporary Queensland Art'; ‘Cindy Sherman’, ‘Sugar Spin: you, me, art and everything’ and ‘Patricia Piccinini: Curious Affection’. 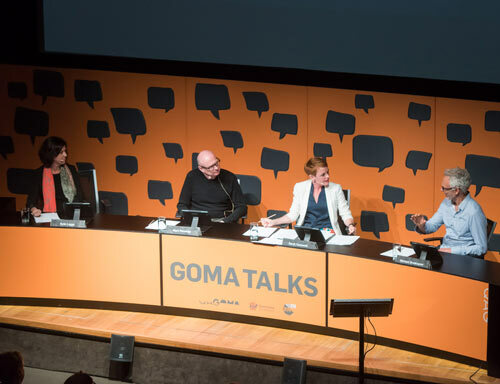 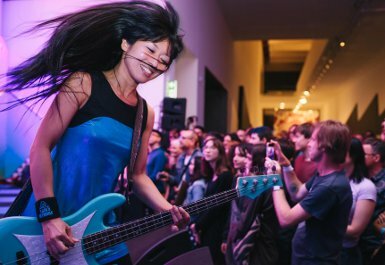 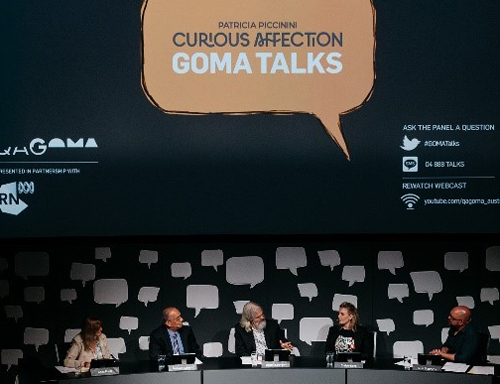 Whether at the Gallery or tuning in via live stream, the GOMA Talks audience is invited to contribute to the conversation via twitter or text for a truly interactive experience.